The furnace. The furnace takes up a majority of the space in an HVAC system. It’s usually in the basement, and it’s an important component. The furnace moves air from the heat exchanger into the air ducts. The furnace is usually confused with boilers, but they’re different HVAC appliances. For more info, check out Furnace Basics For Beginners. The heat exchanger. The heat exchanger is not part of the furnace. It’s located inside the furnace, but the heat exchanger has its own capabilities. It adds heat to the incoming air from the combustion chamber. The evaporator coil. This HVAC part is also in the furnace, but handles a different job. Refrigerant (a fluid that causes cooling) runs through the evaporator coil. The coil absorbs heat from air passing over it. 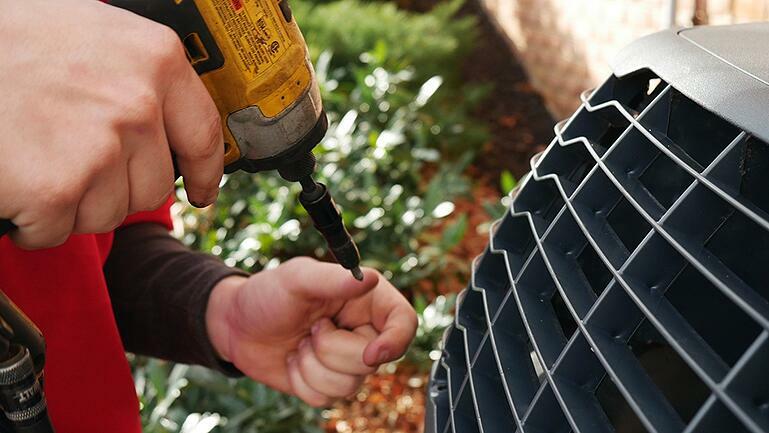 The now-cold air blows through the air ducts throughout your home. The condensing unit. The condensing unit is like the evaporator coil but for an outdoor HVAC unit. Inside the cube-shaped unit, the condensing unit exchanges heat with the air that passes over it. Unlike the evaporator coil, the condensing unit gives off heat. The refrigerant tubes. These metal tubes connect the evaporator coil with the condensing coil. This means the refrigerant tubes connect the indoor and outdoor HVAC units. The tubes contain cooling refrigerant under a wide range of temperatures. The thermostat. This is the part of the HVAC system that you're most familiar with. This small appliance is on a wall of the main level of your home. Depending on what temperature you set it at, you can turn on the air conditioning or heating system. A programmable or “smart” thermostat fine-tunes your home’s temperature even if you’re not there. That means you can save money on your energy bill. The ductwork. The air ducts move air throughout your home. Air comes into the HVAC system through certain sections of the ductwork. It's distributed to rooms through other sections. See which pattern is best for your home with Ductwork Design 101. The vents. As the air travels through the ductwork, it enters the room through vents. Rectangular covers on the floor or ceiling direct and take air. The heat pump. During warm months, the heat pump takes heat from the inside to the outside. During the cold months, it does the opposite. Find out more about how heat pumps work in Heat Pump Basics For Beginners. All HVAC systems have these parts. Each component relies on the others to function properly and efficiently. If you think something is off, call an HVAC professional to check on the HVAC system.